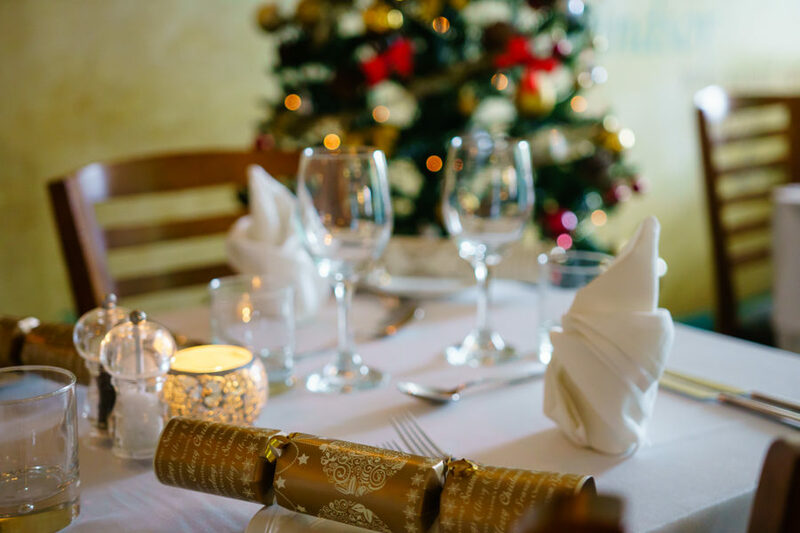 It’s never too early to start planning our Christmas get-togethers as the best venues book up fast regardless as to whether you’re organising a family lunch or dinner, office party, client entertainment or a full-on party for over 100 people. Thankfully The Boatman is able to cater for all Windsor Christmas Parties requirements and we are happy to take bookings as early as you wish. We have a very flexible space including a covered, heated conservatory on the riverside terrace and a bar and restaurant inside the main Georgian building. You can enjoy an intimate gathering or if you have a large party you can book the entire venue, or somewhere in between. Our staff love to host an event and Christmas is their favourite time of year. We get very festive and our friendly customer service is legendary. Well although we’re in the centre of Windsor, our location is just far enough from most of the bars and clubs to make it easy for people to get taxis straight home from outside the pub if they want to call it a night after the meal. And our secluded position provides a private and exclusive feel to any gathering. However, it’s just a short stroll to the town’s nightlife for those who want to party on. Of course, if you want to contain the party you can book the whole venue and bring your own ‘after-party’ along. Book one table or part of the venue or all of it! Call us to plan your special party.